I made another youtube channel. This is one I've been thinking about for a while. I often notice that moments of quiet are worth paying attention to. I want to share some of the quiet moments I experience with people who are interested. I like these videos for what they are. I don't know that they capture the moments the way I want them to, but I think it's as close as I can get it. Please subscribe if you are interested, share with those that might be, and take a few minutes to yourself. I'll add more videos as I find quiet moments I think are worth sharing. Sometimes it's nice to be quiet. A Tub More-Full of Foam! 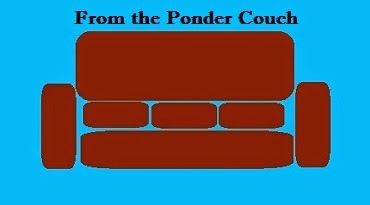 Ponder Couch ID Bumper 3! And weird water stuff. Rejected by the New Yorker: 2! Grey Gray Hair Heir and a fifth of little dinos! Teenie Tiny Dinosaurs! part 4! Teenie Tiny Dinosaurs! Part 2! Sir Mike Shirt in the Fabric! Packed with a Surprise Baby?! Rejected by the New Yorker Comics!